The connection with Chanukah is straightforward: in the times of the Greeks, the Jews fighting for Jerusalem were fewer and weaker, yet they won the battle. It was — as we all know and say in our prayers — the victory of the “few against the many, the weak against the strong, the pure against the impure”. A handful of motivated people, the Maccabim, changed the world as we know it, and wrote the history of our nation. This miracle of our triumph is one that we still celebrate today, for eight days and nights every winter. I recently came across a series of very short Chanukah thoughts in the writings of the former Chief Rabbi of the United Kingdom, Rabbi Jonathan Sacks. And what I would like to do today is to share some of these thoughts with you, as we explore together the very question that the Gemara (Tractate Shabbat 21b) asks in one of the few Talmudic sources we have about this holiday: מאי חנוכה — What is really Chanukah? It’s a funny question, isn’t it? We don’t ask this about other holidays, because we know the answer already: Rosh Hashanah is the beginning of the Jewish year, Yom Kippur is the Day of Atonement, Pesach is the holiday of our freedom, Shavuot is when we received the Torah on Mount Sinai… But the Talmud does ask this question about Chanukah, which must mean that there is something more to this holiday than meets the eye. 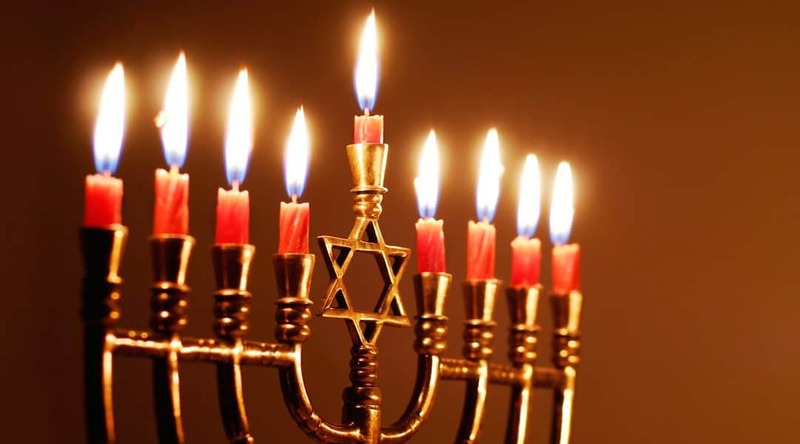 In the Talmud, the answer given is simple, though not directly related to the victory against the Greeks: Chanukah is the holiday celebrating the miracle of oil. One jar of oil sufficient for one day burned for eight straight days, until more oil could be produced to keep the Menorah alit. But if that is the case, what was the miracle on the first day? The oil was indeed supposed to be enough for that day, so what are we celebrating on the first night of Chanukah? One beautiful answer is that there was actually an additional miracle of Chanukah: the miracle that we would probably call in modern terms “perseverance”. The Maccabim probably had many important things on their mind at the time, other than lighting the Menorah. Even considering that the leaders of the Jewish rebellion were kohanim, the Hasmonean family — who, by their function, were the ones in charge with the ritual of the Temple — I’m quite sure there were more pressing issues to attend to than searching in a desecrated Temple for a jar of pure oil. And yet, they didn’t just say “let’s leave it for when we will have the time or for when circumstances are more favorable”. They rather made time for it, seized the moment, and did not let the opportunity pass. They searched the Temple assiduously and didn’t stop until the light was back on the branches of the Menorah. There is a very valuable lesson to be learned here… We are busy people today, we live busy lives. If right after a war, the Maccabim found time to חנו כ”ה, to rest on the 25th day of Kislev — an acronym which actually spells the name of the holiday — shouldn’t we follow their example? Shouldn’t we also “rest” from our daily grind and look for the “jars of pure oil” in our lives? Shouldn’t we actively make time in our busy schedules for our kids, our families, our spiritual encounters, our learning, our growth? The story of Chanukah emphatically tells us that we should! A second idea originates in what is known as “the clash of civilisations”. The Ancient Greeks — the enemies of the Jews in the Chanukah story — were actually a great people with a great culture. They produced art, architecture, philosophy and mathematics. Also, at one point in history, they were controlling more than half of the known world. However, the ancient Greek civilisation is no longer around, while the Jewish culture is very much alive. What an amazing thought! Chanukah is really the victory of hope over despair, of love over indifference, as much as it the miracle of light and of military triumph. Without the concept of G-d and the desire to worship Him and to fulfill His commandments, there would not have been any need for the Maccabim to look for the oil, or to light the Menorah, or even to fight the Greeks altogether. The Greeks were not against the Jews as a people, they were just against us being a different people. They were not Amalek to seek our physical annihilation, nor were they the Pharaoh of Egypt, interested in turning us into slaves. What they were after was much more subtle: they wanted to make us assimilate into their culture and to forget our true raison d’être. They were willing to provide for us and even to welcome us fully into their society… as long as we became them. So, really, the only reason we fought that war against them was to preserve our Jewish identity, our beliefs, our faith. Reaching out to the world is yet another message that Chanukah brings. Unlike the Shabbat or the Yizkor candles, which we light inside our homes, the Chanukah candles are lit outside, for everyone to see. The Talmud rules that the time for lighting the Chanukah menorah extends from sundown עד שתכלה רגל מן השוק — “until all passersby have vanished from the marketplace.” The Talmud doesn’t say “until all Jews go home”, but rather includes Jews and Gentiles alike. The mitzvah of lighting the Menorah is for the benefit of all mankind. In Judaism, light must be shared with the entire world. In the Midrash, we are told that “when King Solomon built the Holy Temple in Jerusalem, he made the windows narrow within and wide without, so that the light should emanate to the outside and illuminate the world.” G-d’s sanctuary did not need the light of the Menorah. The world, however, did need it, as it still does, desperately, to this very day. Chanukah, with its great military victory against the Greeks, does not compete with a simple Shabbat light, that we kindle anyway every single week. And that is because — in the spirit of what Judaism has brought into the world — peace in the home and in society is much more valuable than the greatest military victory. We live today in a world full of conflict. As human beings, we have very difficult choices to make and an enormous responsibility in making them. The values that inspire our decisions and actions are shaping the world for our children and grandchildren. Do we choose to live by the sword, to frighten and terrorize others into submission, to celebrate the defeat and destruction of those we consider “our enemies”, or do we light the candle of peace in every place we happen to be? Judaism has already provided the answer and it is, it has always been, the answer of peace. It is time for the world to take heed and follow. valuing peace in every decision we make and every action we take.